"@sunetteviljoen is the most arrogant and thankless person let alone being an athlete, I've ever met." Javelin champion Sunette Viljoen (33) earned a silver medal for SA at this year’s Rio Games – but now the athlete says she's not getting her due. “Never have I uttered those words,” Sunette commented on her Twitter profile about a screen grab of a WhatsApp exchange between her and minister of sport and recreation Fikile Mbalula. In the screen grab Sunette asks the minister when she’ll be getting her R70 000 prize money for the Olympic Games. When YOU approached Sunette and her partner Li-Mari Louw for comment they indicated that Sunette was feeling despondent and didn’t want to be interviewed. 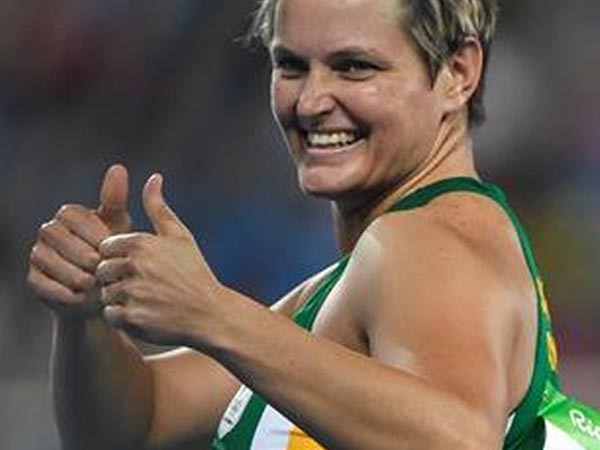 Read more: Sunette Viljoen wins SA’s NINTH medal in Rio! “She’s the only athlete complaining about it and we suspect she might be the only one who’s not getting paid,” Li-Marie said. “She doesn’t want to talk about it anymore. It’s constant begging and pleading but nothing ever happens. “She’d just like to be paid,” Li-Mari says. The department of sport and recreation couldn’t be reached for comment.